This weeks challenge over at Scrapping with I did it Creations is all masculine. We were given gorgeous 'Dungerees' digi papers from Toucan Scraps to work with and I fell in love with the realistic denim affect. I cropped a photograph of my son (in typical pose with the largest 'stick' he could find) and matted it with 2 of the denim affect papers. I used papers from the set to produce the words 'boy' and 'stick' in the title (cut and drawn by hand) and created a simple tree and grass scene to show how versitile the papers can be. 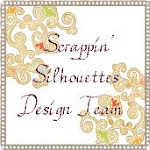 Toucan Scraps is sponsoring the challenge this week and the winner will receive $5 to spend in the online store. So go over here to check out all the fantastic DT layouts and please join in for your chance to win!